It all started in the early 1970s when our Co-founder was an 11-year-old boy growing up in New York. A young Mark Danzo was fascinated with commercial airliners. He watched these massive heavier-than-air metal birds get and stay afloat safely to carry so many people so quickly to exciting and distance places. He realized the social impact that commercial air travel had made the world, by making so many places accessible to so many people. Families and friends could live their dreams, follow their career aspirations, or just travel to exotic places. All while staying connected to the people that they cared about the most. He became obsessed with the science of commercial aviation. He studied the engineering achievements that allowed mankind to overcome the pull of the earth’s gravity to achieve business and recreational air travel for society. His room became filled with models of most Boeing, Lockheed Martin and McDonald Douglas planes that filled the skies over New York. The 707, 727, 737, DC-9 and the massive “wide bodies”; the DC-10, L-1011 and the amazing engineering feat called the Boeing 747. As he assembled all of these plane models, he learned all the specifications and facts that surrounded each aircraft. Such as the passenger capacities, required runway lengths, max flight speed and range. He even knew the different jet engine manufactures like, GE, Pratt & Whitney and Rolls Royce that supplied the thrust to get and keep these engineering marvels aloft. Mark had found his passion at an early age and he knew he wanted to be a commercial airline pilot. In the 1970s becoming a commercial airline pilot was a very sought after career, and landing a good job on a top airline was very competitive. The only practical way to get the right flying resume to fly commercial was to first become a military aviator. The hours in the air and the experience that only the military could afford was pretty much the prerequisite to becoming a commercial pilot. Mark started looking into what it would take to get into flight school. Then, in his mid-teens as that time approached, something happen that would shatter his dreams. He noticed that he could not see the blackboard as well as he could in the past. His dad took him to a family friend that was an optometrist, and 15-year-old Mark was given the horrible news that would stop him from becoming a military aviator. His distance vision had dropped to 20/70, which meant that he would have to wear glasses to see 20/20. However, at this time, glasses were not permitted if someone wanted to fly military aircraft; a person was required to see 20/20 without the use of glasses. Mark accepted his limitation, but he always wondered what stopped him from pursuing what he loved. Encouraged by his grandfather and his mother, he looked into becoming an eye doctor. After eight years of higher education that dream was realized in the late 1980s. Around that same time a new field was emerging in Ophthalmology called Refractive Surgery. This was a series of procedures that were designed to correct a person’s Nearsightedness, Farsightedness and Astigmatism to possibly remove a person’s need for eyeglasses. If this Refractive Surgery field panned out, it would be realistic to restore a person’s vision to 20/20 without glasses…by example, a person who was 20/70 could be corrected to 20/20. Dr. Danzo now became obsessed with a new dream, the dream to restore a patient’s vision to 20/20. He foresaw the potential this field had to allow millions of people to pursue their dreams, so Dr. Danzo committed his career to Refractive Surgery. 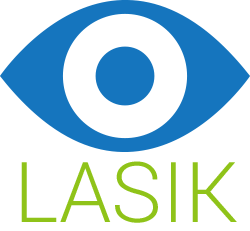 Over the next ten years, LASIK clearly became the most performed Refractive Surgery procedure in the world. Dr. Danzo studied the clinical aspects of LASIK, as well as the business aspects that would make LASIK more accessible to patients that wanted to restore their vision.